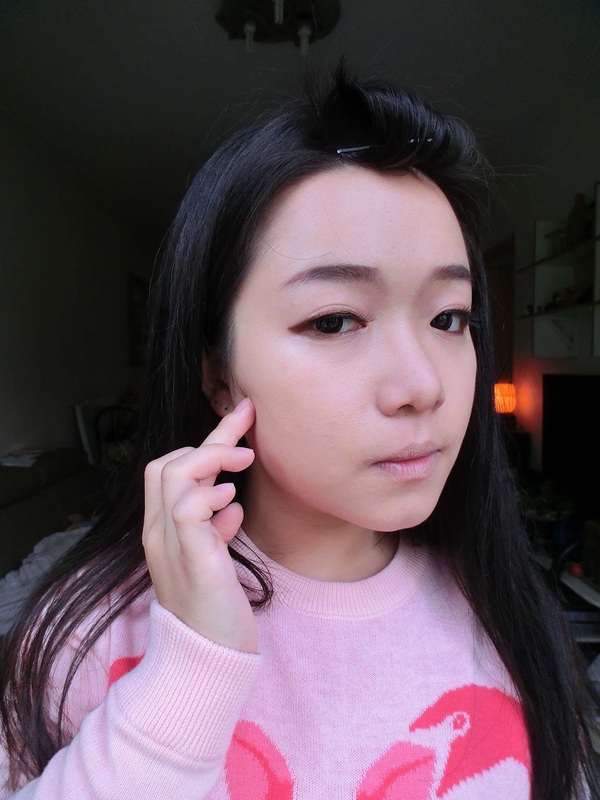 Here's the long awaited makeup post since months! I've drafted earlier but then have to rush on some other blog post before this. 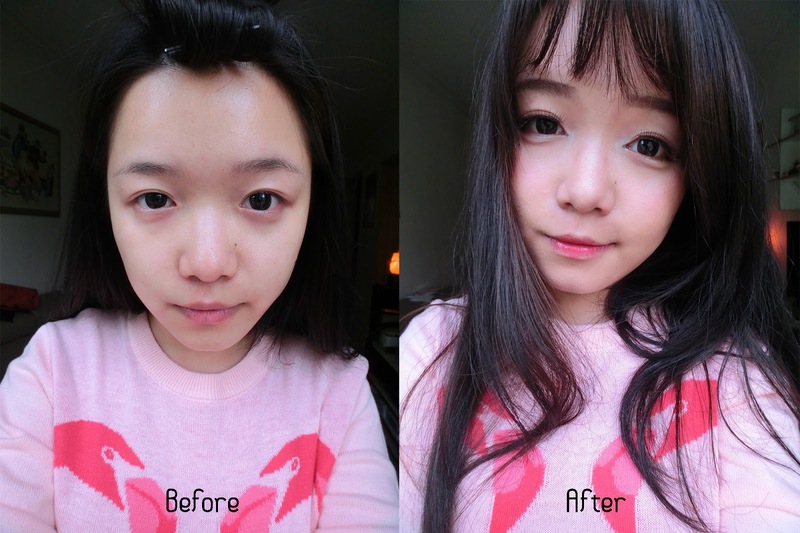 Now, it's here, the Makeup Transformation with bangs! TBH, it will be a terrifying one haha! 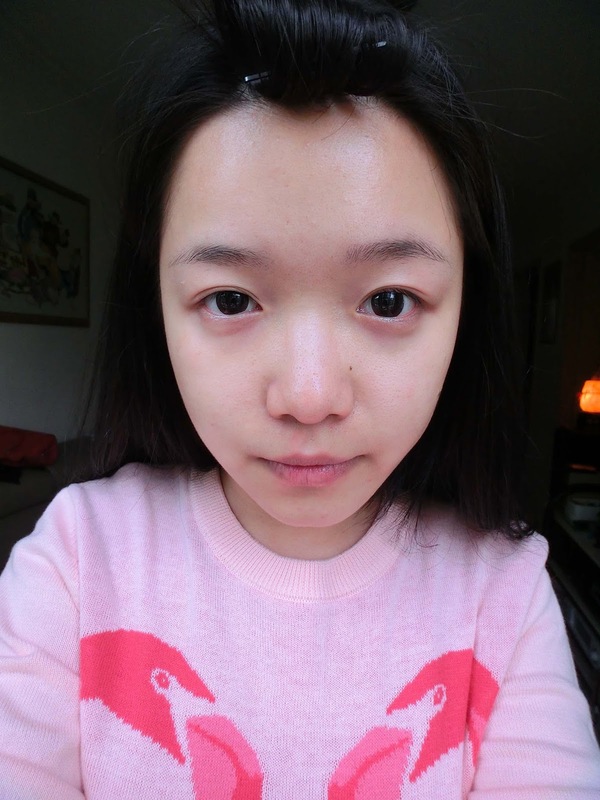 Here's my barefaced, looks kinda scary though. Before start applying the makeup, top up your skin with serum or ampoules, to moisture the skin and create a dewy skin makeup look. Firstly, apply some BB Cream to cover up the red blemishes, dark spots and pores. 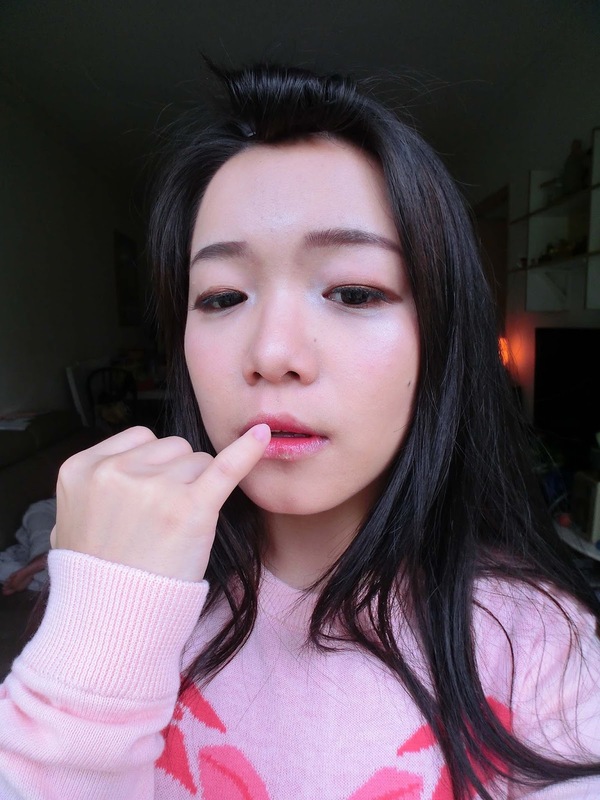 In order to cover up the dark circle, i will apply two layers of BB cream on the dark circle area, gently dab with my ring finger. 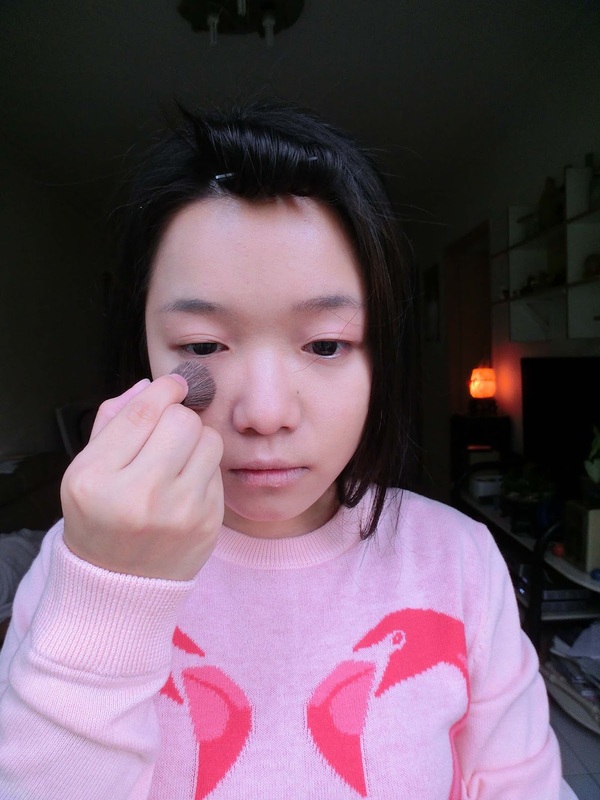 Set your makeup with a thin layer of loose powder or two way cake, in order to keep the makeup last for whole day. Instead of using powder type of eye shadow, I'm using the elianto eye shadow stick. 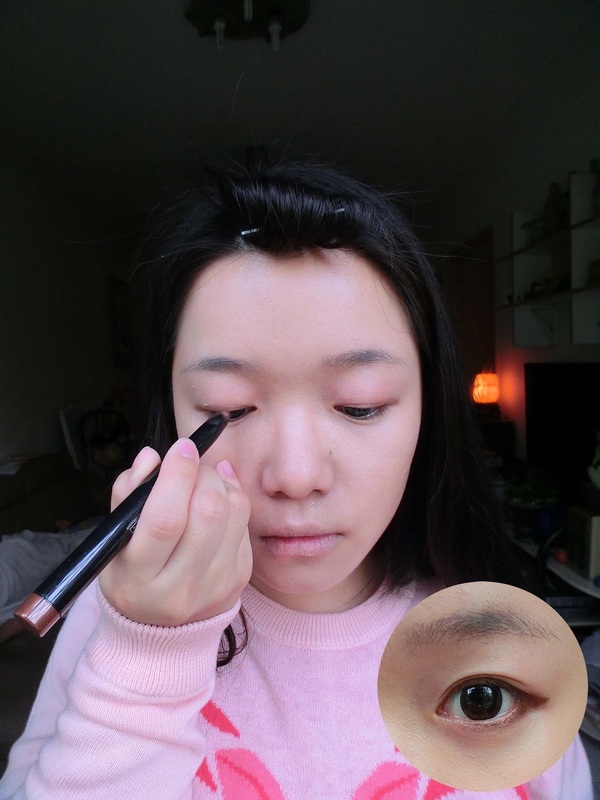 Draw fully until the double eyelid and a bit at the outer corner on lower lash line. 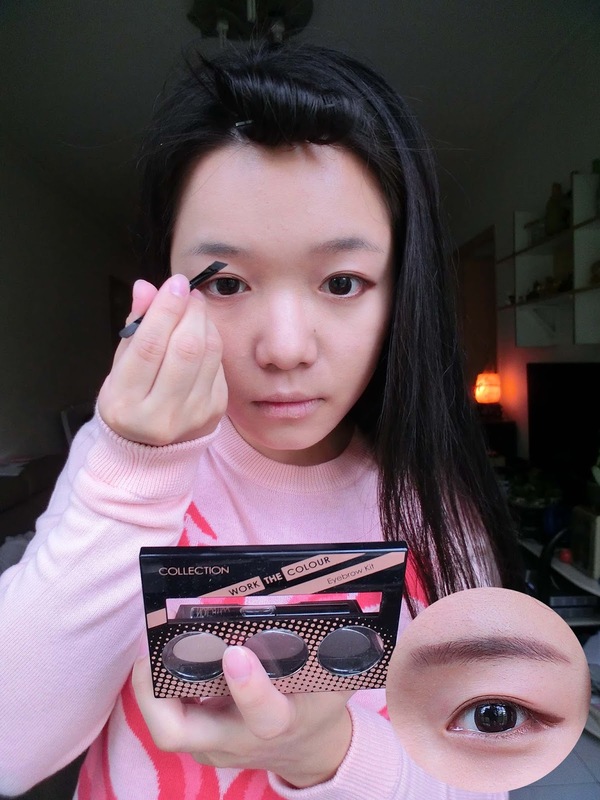 Imitating the drawing of eyeliner. It's the best eye shadow I've used so far, which really water-proof and sebum-proof! I wore it during my trip to lost world of Tambun, after sweating in hot spring or even swimming, the eyeshadow still remained! Time to brow! Brows are real important, it can change the shape of your face. 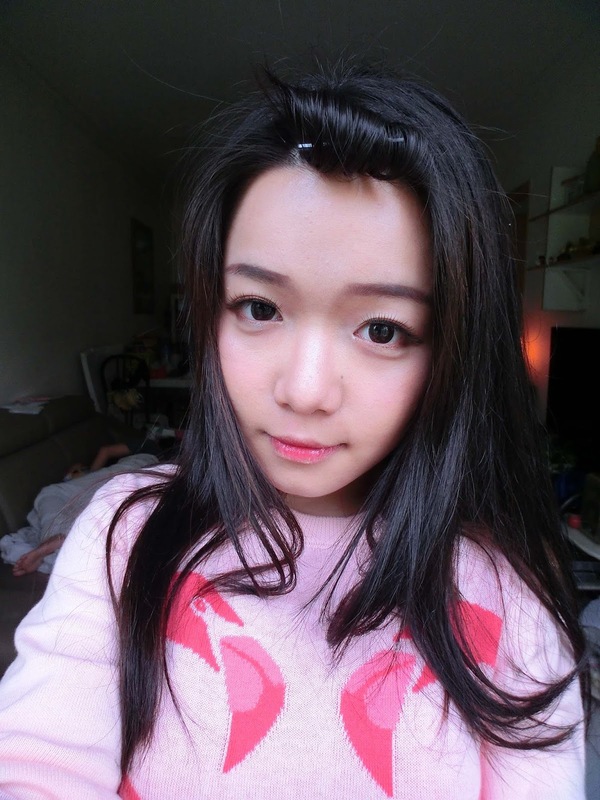 To create droopy eyes and cute look, I tend to draw korean kind of straight eyebrows. Longer brows, straight and a little downward at the half end of brows. An optional step, the falsies! I have puffy eyes and hence I am applying the most natural falsies here. My eyes are wider and bigger! After all, it's contouring! It's important to do contour on jawline and nose. It helps creating a more dimensional face and making your face features more outstanding. It may not be obvious on the mirror, but it's super significant in the picture! Last but not least, the lippie! I'm using the lip balm here with red tint. While moisturizing the lips, it adds a little tone and glossiness on the lips. Jeng Jeng! I'm done! Time to release the bang! 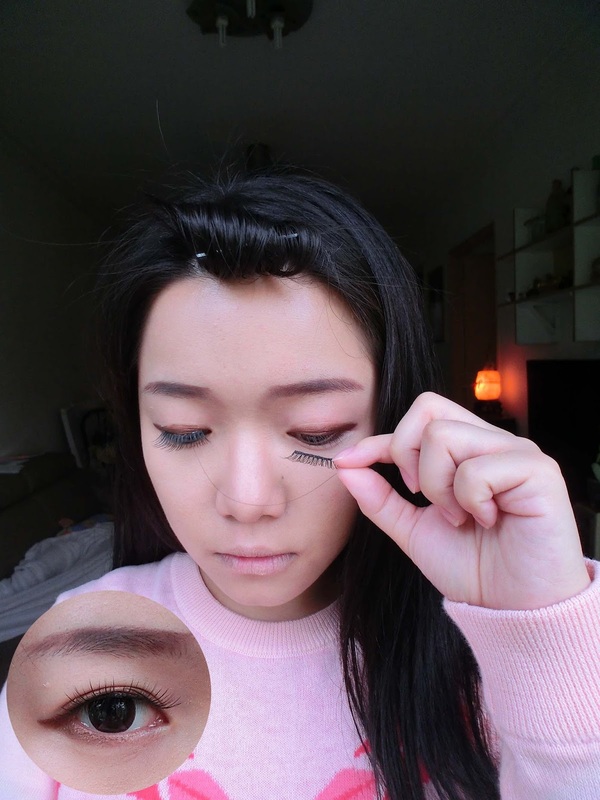 So, here's the See-Through Bang Makeup look that I've created, super fast and easy! Remember not to skip the brows steps on see-through bang, unless you have thicker bangs. OMG, now only I realize that I look real different before and after makeup. Btw, products reviews' link are under each and every steps. FYI, here's the current GIVEAWAY where I'm giving away an Ampoules Set worth RM138!